Bill Cosby departs Montgomery Courthouse in June as jury deliberations were ongoing. A PENNSYLVANIA JUDGE ruled that Bill Cosby would go back on trial for alleged sexual assault on 6 November, after a first trial ended with a deadlocked jury. Judge Steven O’Neill, who was forced to declare a mistrial on 17 June when the 12-member panel failed to reach a unanimous verdict, made the announcement in a written order from Norristown, just outside Philadelphia. O’Neill ordered lawyers for both sides to submit any proposed jury selection questions and instructions no later than 30 October. The first panel, which was selected in Pittsburgh, spent 52 hours deliberating, working late into the night before failing to reach a unanimous verdict on three counts of aggravated indecent assault. Differing media reports have surfaced about the nature of the deadlock. ABC News quoted one juror, who was not identified, as saying that 10 of the jurors voted to convict Cosby on two of three counts, but that two people held out. Another juror told WPXI that the panel was hopelessly deadlocked from the beginning and that votes were split seven to five during most deliberations, without specifying which side had the majority. The mistrial was a victory of sorts for the pioneering black comedian, now frail and isolated, who risked spending the rest of his life in prison if convicted. Cosby, who will celebrate his 80th birthday next week, is accused of drugging and molesting Andrea Constand at his Philadelphia home in 2004. 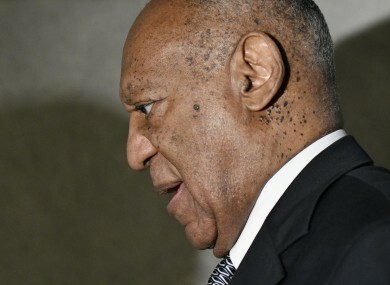 The trial irrevocably damaged the once-towering figure in US popular culture, loved by millions as ‘America’s Dad’ and best known for his seminal role as a father and obstetrician on hit 1984-92 TV series The Cosby Show. Around 60 women have publicly accused the Emmy-winning actor in recent years of being a serial sexual predator, alleging that he drugged and assaulted them over a span of 40 years across the United States. But Constand’s allegations were the only criminal case brought against him as most of the alleged abuse happened too long ago to prosecute. Constand was the director of women’s basketball at Temple University in Philadelphia, and Cosby sat on the school’s board of trustees. Comments have been closed due to legal proceedings. Email “Bill Cosby sexual assault retrial set for 6 November”. Feedback on “Bill Cosby sexual assault retrial set for 6 November”.